The handful of storefronts that dominate the games market are so influential that, to many developers, they can appear virtually impenetrable. 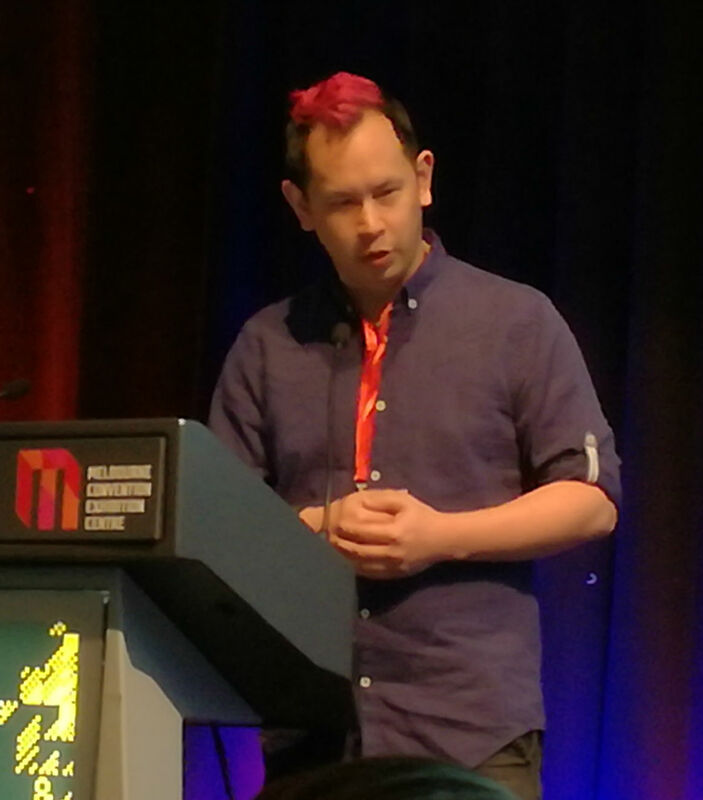 At Melbourne International Games Week, however, two enlightening talks emphasised the relatively small number of people behind those monolithic facades - and the importance of having one become a champion for your work. During a panel at Games Connect Asia Pacific, Ken Wong was asked if his role as design lead on Monument Valley won him any fans that he carried over to his new studio, Mountains, and its debut game, Florence. "Not really," he replied. "I think Monument Valley 2 - which I didn't work on - would have capitalised on the Monument Valley audience, but I don't know if a lot of Florence players know that I worked on Monument Valley before that. Apple knows, though." That last comment is telling, because while those who played Florence probably didn't know Wong had worked on Monument Valley (even if they loved both games), Mountains' debut was likely given pride of place on the App Store precisely because of that past experience. That link doesn't need to be in the mind of the player, as long as it exists in the mind of those curating Apple's store. "The App Store is one of the easiest stores to game, in the sense that there's only a couple of people you need to impress"
"The App Store is one of the easiest stores to game," Wong added, "in the sense that there's only a couple of people that you need to impress. And then Apple's like, 'Well, I guess we'll just promote this app'." Wong emphasised that forging that connection with the small number of people who make those decisions is far from simple. However, throughout that panel - and at two others that GamesIndustry.biz attended during Melbourne International Games Week - he explained the importance of exploring new territory in his work, of cutting against the trends that so many of the games on the mobile app stores represent. "As a creative I think I thrive with kind of punking the audience a little bit, taking something established and doing it a different way," he said. "At the time I worked on Monument Valley, the App Store was thought of as the free-to-play dominated market - and it's kind of still the case... We didn't know that there was enough market [for premium games], but there was Sword and Sworcery, and that was this very, very beautiful mobile game, unlike anything else at the time. "It was a premium game that sold for, like, $4, and the fact that existed... There was this landscape of free-to-play games, and there was this one weird thing that didn't even feel like a game - it was like poetry with pixel art. I just looked at that and thought, 'Well, if they can do that, maybe I can do something similar. And if it gets a fraction of that success maybe we'll be okay." It hardly needs to be mentioned that Monument Valley got more than just a fraction of that success. More importantly, it got noticed by Apple, and that was very much part of the plan. "Our studio was not super high-profile before Monument Valley," Wong continued. "But there was a change in the editorial team and we got a new contact. That was the one thing we knew we had to do: make beautiful screenshots, get Apple's attention, so that when the game came out it would be on the App Store." Wong's point about appealing to the small number of people who fill the slots on the App Store not occupied by Clash of Clans and Candy Crush was echoed in another talk by Nick Suttner. 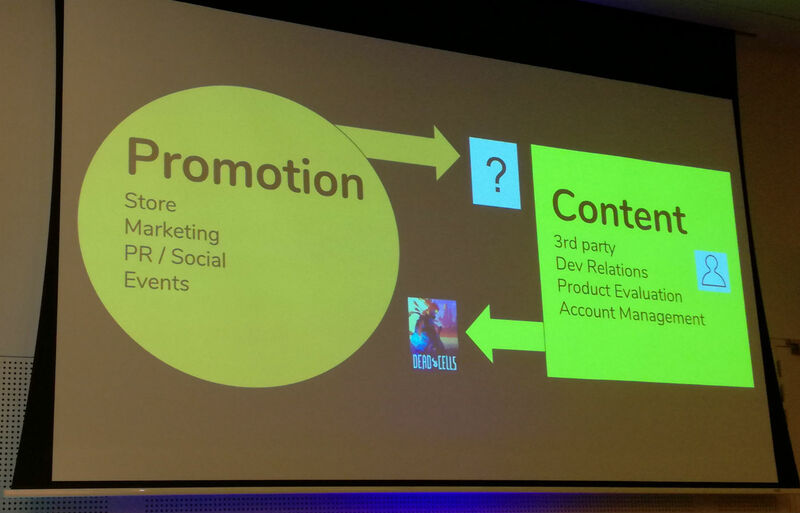 A veteran of the developer relations teams at both PlayStation and Oculus VR, Suttner actually used to work in that very role, and he told the Games Connect Asia Pacific audience to stop thinking of platforms as entities, and start thinking of them as people. "There are others like me at every big games company, people who care about interesting, artful games"
Suttner's career started in games retail, when he advised people on games on a one-to-one basis every single day. Moving into journalism, he continued to champion games through his writing for EGM and 1up.com, only to much larger groups of people. And his work in developer relations for PlayStation and Oculus involved much the same thing: finding and fighting for games that he personally believed in. "I've been a champion across retail and press, at PlayStation and Oculus," he said. "And really, there are others like me at every big games company, people who care about interesting, artful games. And that's across console, PC, mobile, VR - there are potential champions everywhere." The one lesson he asked all attendees to take away from his talk was simple: "Companies don't care about your games. People care about your games." "That's really important to internalise, and I think that distinction is very important," he continued. "Developers often ask these questions... Will Microsoft care about my game? Why doesn't Nintendo care about my game? How can I get somebody to feature my game? "And I think, fundamentally, these are the wrong questions. The right question is, 'Who will help fight for my game?' That's really what matters. "I really believe that any promotion, support or funding of your game only happens because somebody cares about it personally. I think that's true of publishers, platforms, press. People often talk about Sony's 'indie program', but there was never a program; there was just a bunch of people, like myself, who cared about indie games and wanted to make them a bigger part of the ecosystem." Like Wong, Suttner pointed out that there are people working for every platform - even the App Store, and even Steam - who boost and champion games in just that way, for reasons of passion and personal taste rather than a concern over what will make the most revenue (and money, it should be noted, was unlikely to have been Apple's motivation for featuring Monument Valley). At PlayStation, he said, the store would always feature AAA games prominently, but people like Suttner were very influential in what was chosen to fill the other slots. Suttner, who is now an independent writer, designer and consultant, openly discussed his priorities while working for PlayStation. Indeed, he presented them to the GCAP audience in a list, in the order of most to least important. In first place, he said, were the players, and the desire to put great games in front of as many appreciative people as possible. The developers, and ensuring they had a good experience working with the platform, were in second. In third was his own career, and the platform itself was dead last. "I was proud to work there and be a part of it, but I didn't really care about PlayStation's bottom line," he admitted. "But I think having their priority last, it served them the most. I think this is why we had a good developer relations team, and I'd hazard a guess that a lot of effective business development people in games have similar priorities - they really are looking out for your best interests." GamesIndustry.biz attended Melbourne Games Week as a guest of Creative Victoria.